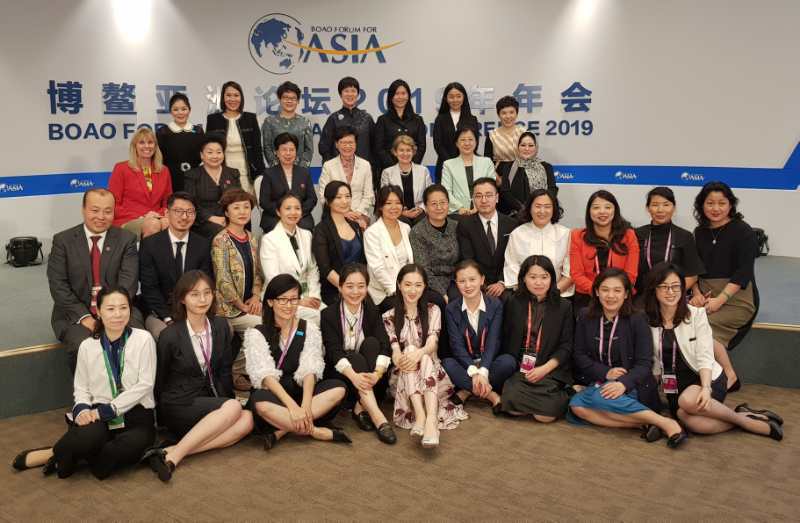 More and more women are enjoying the same rights as men but the road to gender equality is still very long in a global perspective, according to women participants to the Boao Forum for Asia annual conference that concluded last week. 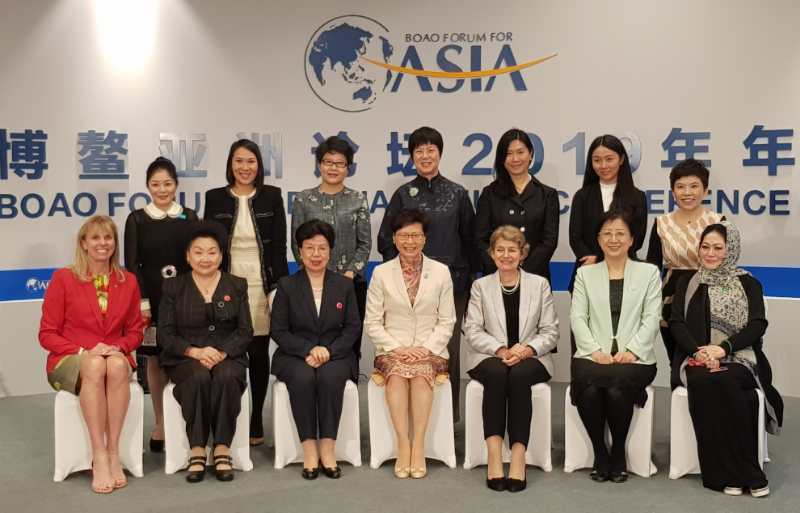 Sixteen women representatives – including Soon-taek BAN, wife of Ki-Moon BAN; Carrie LAM, Chief Executive of HK Special Administrative Region; Dr Della Suantio Lee, the Founder and Chairperson of DS Lee Foundation – shared their thoughts on the women issues in a roundtable under the theme “Power of Women and the Value of Balance”. Carrie Lam said that women now have equal opportunities to educate as females account for 53% of higher education graduates in Hong Kong. However, the proportion of employment in women is only around 50%, some 20% lower than that of men. 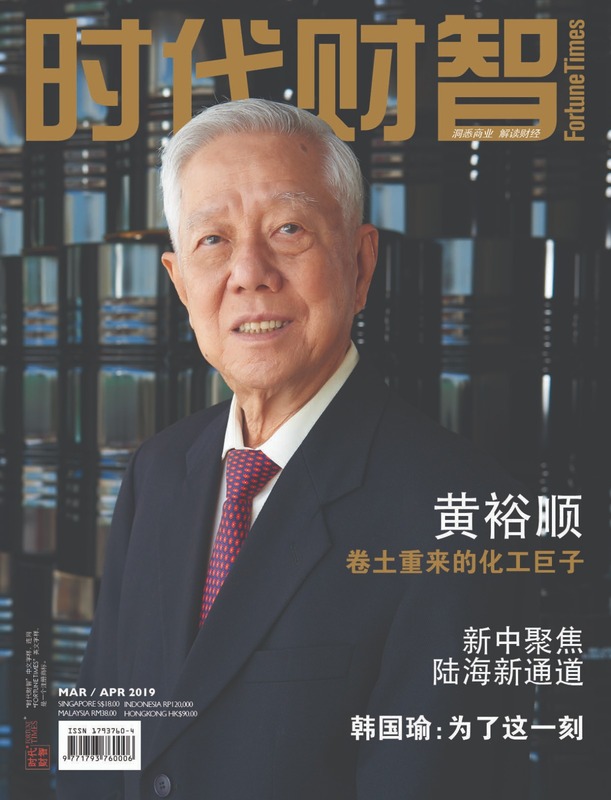 The proportion of women employed by Hong Kong’s listed companies is very low, with only 13% in the board of directors. Therefore, she believed that although women are better educated now and have good opportunities, it remains a question of how to let them participate in economics and politics. She believed that women in a leadership position may cause different effects for the business operation. 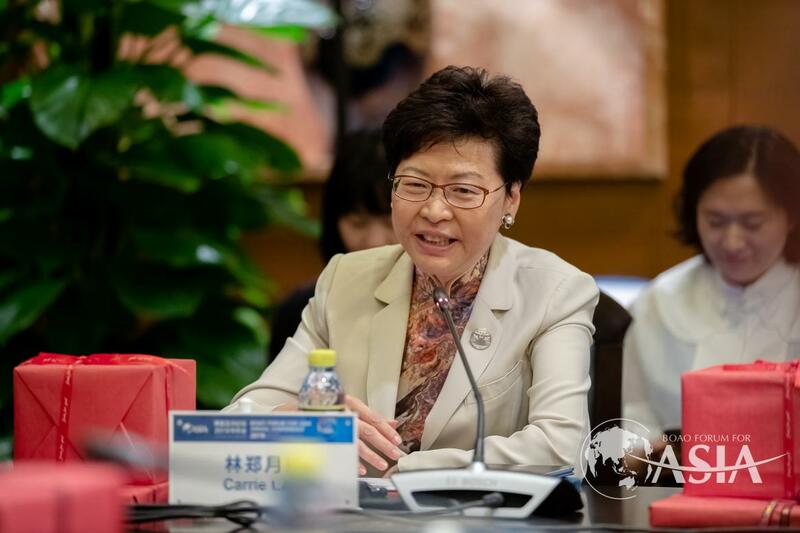 As the first female chief executive of Hong Kong, Carrie Lam said she felt her responsibility to improve the status of women. 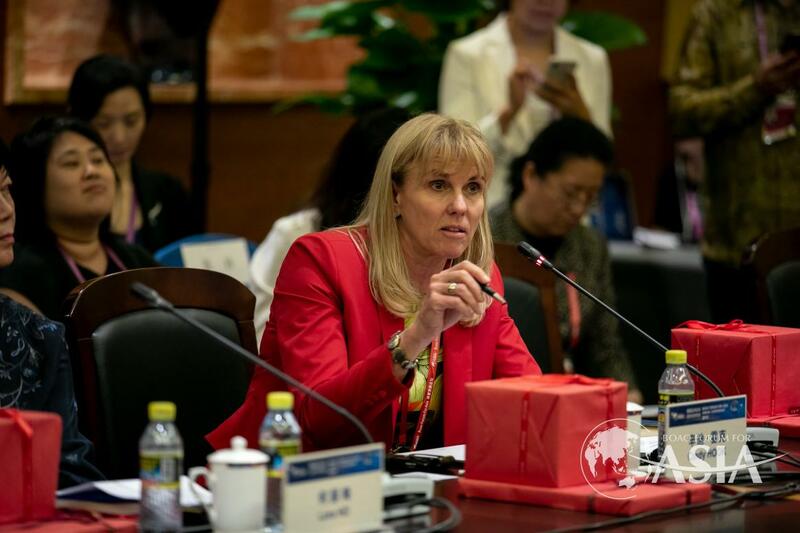 Cindy Hook, Chief Executive Officer of Deloitte Asia Pacific said she had been working in the business world for 30 years. From the perspective of the number of women in the corporate world and on the board of directors, there is still a long way to see gender equality in a real sense. She said that women’s ratio among business leaders is still very low. She said that as technology is evolving, women may improve their equal status in some way. For example, many women can get out of poverty through new technology. 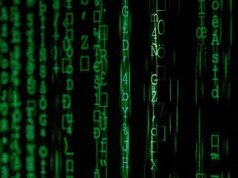 But if the technology were not used well, the fourth industrial revolution may pull women behind society even farther. She was worried that the development of some technologies could cause some negative impact on gender equality. 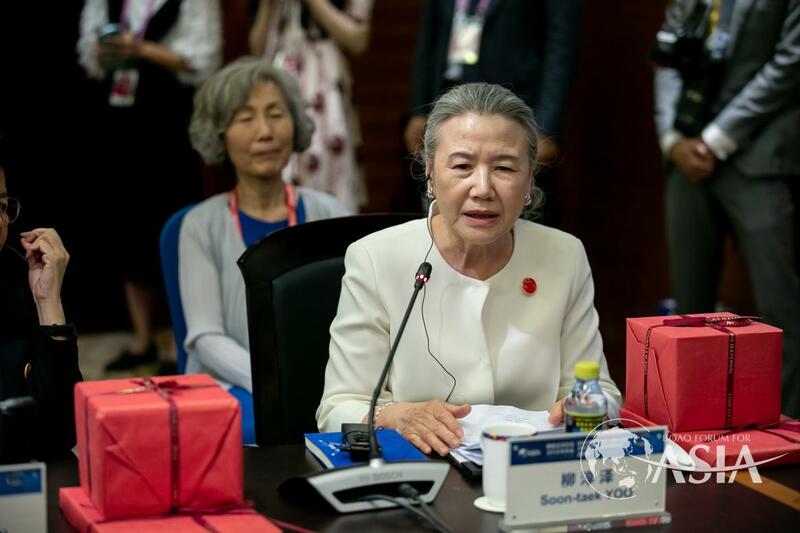 Dr. Della Suantio Lee, the Founder and Chairperson of DS Lee Foundation, said in her 17-minute speech that her mother, who received Dutch education, succeeded in managing the family’s economy very well while taking good care of seven children. She said a woman must work hard while taking good care of the elderly and children at home. Therefore, she must become very strong. 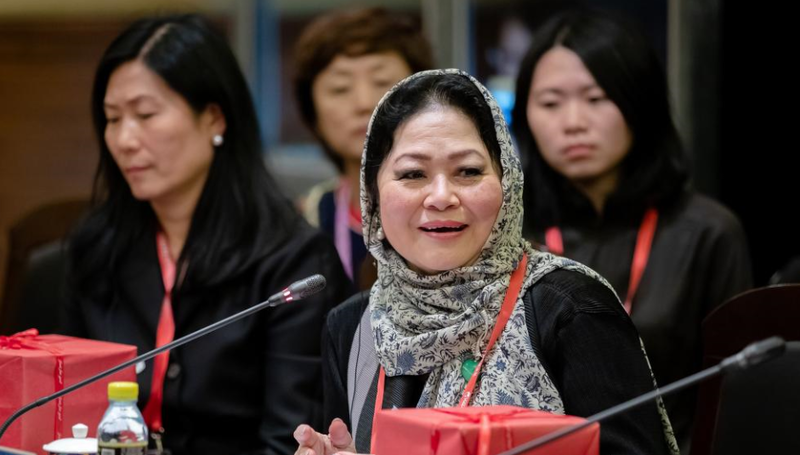 “I love China, Indonesia, and Singapore, because you learn a lot in these different societies where the pace of life is very fast and people work very hard,” said Dr. Della Suantio, noting that women need to keep learning in order to fulfill responsibility both at work and at home. 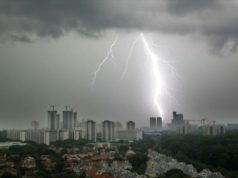 She said that in Singapore doctors need to receive a good and systematic education. Nurses have to work really hard and overtime. She recalled that since one of her nieces and nephews wanted to be a doctor, their family paid high tuition fees to study in the United States. She believed that learning cannot only make women grow, but also enable them to help more people through what they have learned. DS Lee Foundation was established in 2004 to aid charitable giving in areas of healthcare, social welfare, education, and the arts. 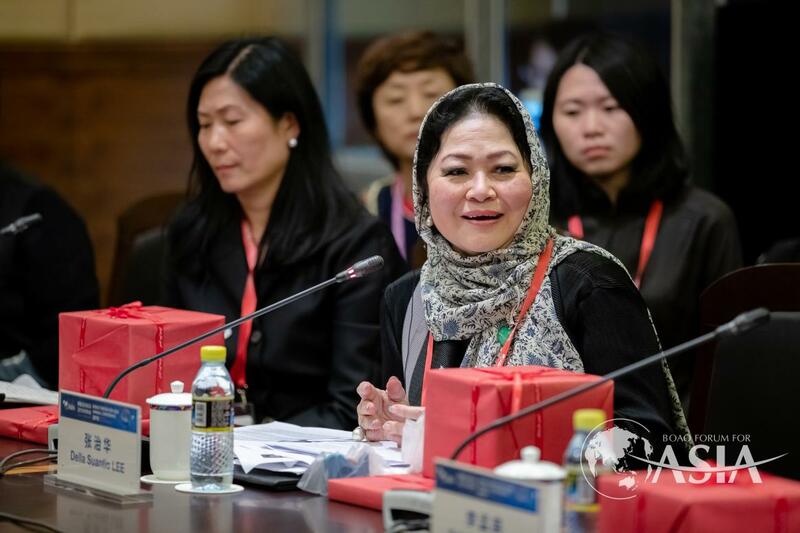 Dr. Della Suantio Lee’s passion is in the area of supporting nursing and she works closely with the Ministry of Health in Singapore to understand the needs of the healthcare sector. In 2017, Dr. Della Suantio Lee was awarded the Her Times Philanthropy Award, a recognition for her contributions to Singapore-Indonesia Relations and her outstanding work in philanthropy on the occasion of the 50th anniversary of diplomatic relations between Indonesia and Singapore.